I have been a foodie ever since I can remember. I remember watching Chef Sanjeev Kapoor on Khana Khazana and Chef Tarla Dalal on her Cook It Up shows. I have always been fascinated by food. 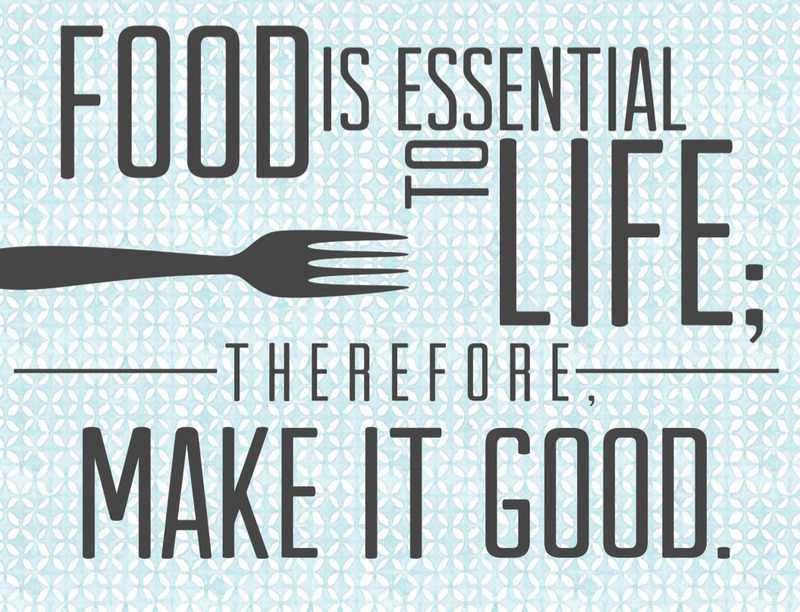 Be it in terms of cooking or eating. As cable TV evolved and the Masterchef series kicked in, the obsession grew ten fold. But the actual importance of food in my life dates back to years ago when I was in my teens. We had a pet dog and he used to eat only meat. Owing to which there always was some type of meat cooked at home. I have been a carnivore all my life and I need my dose of chicken, fish and pork often. But one fine day, we had a financial breakdown and everything came to an end. We couldn't afford meat anymore and were struggling even for the basics. My sister and I were still young and we watched our parents struggle to make ends meet. We ate dal and rice everyday without complaining. And bought some bones and discarded meat from the butcher for the dog. But even at this stage, my mother made sure that we only ate hot and freshly made food. Even if it was only the basics and the portion was meager. Today when ever I do not get good food, I feel like crying. Not because I think of the past, but because I think that I have failed somewhere. I have all the money to eat in the best of restaurants today, but I am the one who always prefers a hot home cooked meal. When I do not get it, I lose my mind. Why do we all work so hard? Why do we make money? To provide for our stomachs right. If we do not get that right, then we definitely are doing something wrong. If my food is not hot or not tasty, I do not like it. Food must always be delicious, fresh and hot for me. Else, it spoils my mood. Some people cook food, just for the sake of having something to eat. Some cook in the morning and have the same thing throughout the day. I have been through such situations myself and have hated every minute of it. I need to have freshly prepared, piping hot and tasty food. Else I feel like bawling out loudly. I feel helpless at times because I do not have the time to cook for myself and I know that I should adjust during such times. But I am unable to do so. I work so hard to make good money to enjoy a decent meal. But when I do not get that, it leaves a bad taste on my palate. Literally. But now since I spear head my kitchen, the only food that comes out of it is freshly made and always hot. Suppose I eat out and do not like the food and if the food is not served with necessary warmth and heat, I express my displeasure to the waiter and the chef. And on Zomato as well. I'm watching my calorie intake and am working out hard, but I shall never ever go on a diet. I'd rather stay fat than let go of food. The world can turn upside down or crack open, but my love for food will remain the strongest of all. Because I know what it is like to live without it. My obsession with mirrors is far from vanity. It is not that I think I'm super beautiful and I need to keep looking into the mirror. I have a fetish for squeaky clean mirrors. I'm scarred in more ways than one and I like to see it all on the mirror. I'm not ashamed of it. Infact I'm so proud of them that I wrote a post about it here. I like to look at my own scars, but if there is a spot on the mirror, I feel like it is a mark on my conscience. And I hate that. For often than not, you see me with the Colin spray in one hand and a cloth in the other wiping all the mirrors in the house. I do this atleast twice a day. I know it is silly, maybe even stupid. But it is important to me. I believe that I'm a good person and have not hurt anyone. I know that my heart if pure and that my conscience is clear. A clean mirror to me is just an extension of that. And those people who stick their bhindis on the mirror, there is a special place reserved in hell for them. I love mirrors and I'm waiting for a day when they invent an app that will turn your phone screen into a mirror. I do not step out of home without kajal and every time I see another girl with bleeding kajal, I have a strong urge to check mine. Same with lipstick as well. My reflection on a black phone screen is good enough, but having a mirror on the phone would be something else altogether. But in one way it is good that there is nothing like that. I may then soak my phone in Colin too. 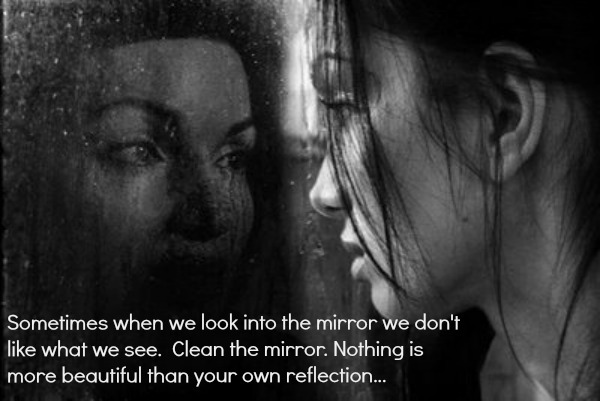 At times I find myself going crazy over the stains on mirrors. I scrub and scrub until it sparkles. Now that I think of it, the same applies to the vessels in my kitchen. Maybe the obsession exists for everything that can pass off for a mirror. Wow Soumya - it seems I am everything you are not. I can eat almost anything served anyway. That might stem from the fact that I'm not a great cook. As for mirrors - my daughter uses them more than me. All I need is a quick check and I'm on my way. Reposting, as I had some issue when I posted my comment last time. Food is necessary thing for all. I love mirrors too. Mainly because it is the only one these days that does not lie. As always I want to read more and more posts here. Hot cooked food is always a welcome respite. About mirrors, nothing silly in that. Everyone has this habit that they like something to be placed in proper order or want it clean. For you it will be mirror, for me something else and so on.